Aug 21 (Reuters) - Americans throw away nearly half their food every year, waste worth roughly $165 billion annually, according to a study released on Tuesday. "As a country, we're essentially tossing every other piece of food that crosses our path. That's money and precious resources down the drain," said Dana Gunders, a scientist with the Natural Resources Defense Council's food and agriculture program. With summer corn coming into season, we will all have a ton of corn cobs on our hands. You don't have to throw these away. Use the cobs for a base to make a silky corn soup. 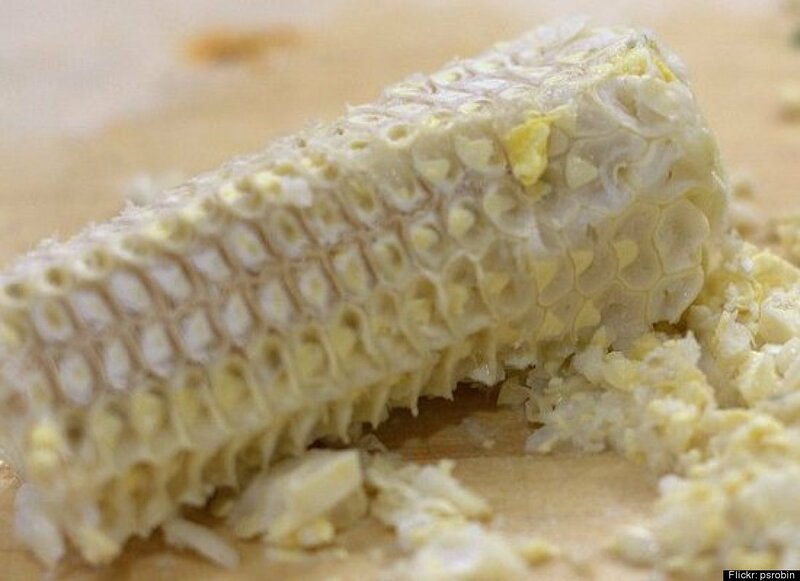 The milky "corn juice" comes out of the cobs when you simmer them in a pot and can add a deeper flavor than chicken stock. Try it with this <a href="https://www.huffpost.com/entry/corn-chowder_n_1056611" target="_hplink">corn chowder recipe</a>.